A Saudi Arabia-based banker, Mohd Mushtaquddin, divorced his 25-year-old wife in Hyderabadused through news-paper advertisement. The man has been charged with cheating and cruelty by the Hyderabad police. The couple had a baby in 2016, who is now 10-months-old, and the wife claims that they had a fight a few months back. They got married in 2015. 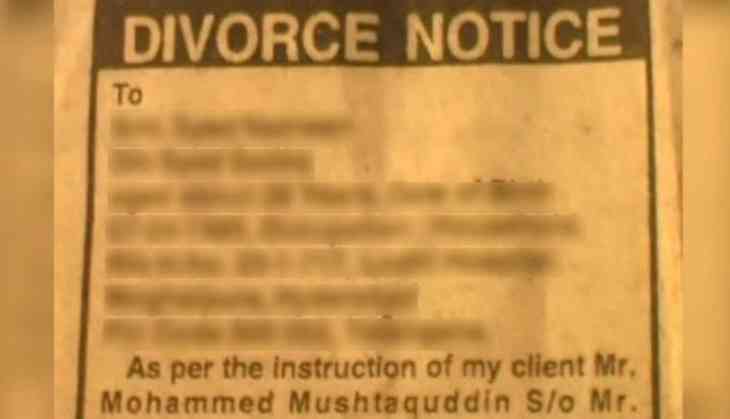 The wife, reportedly, has not received any official documents yet but she received a phone call from her husband's lawyer after the advertisement was posted in local Urdu daily on 4 March. ''If I did anything wrong, he should have spoken to me and my parents. If I was wrong he should have given talaaq in front of everyone as he has married me in front of all relatives," NDTV quoted the woman as saying. ''Why did he run away to Saudi Arabia without meeting me... and divorce me through an ad even with a 10-month-old baby," she added. The police has launched an investigation in the case.